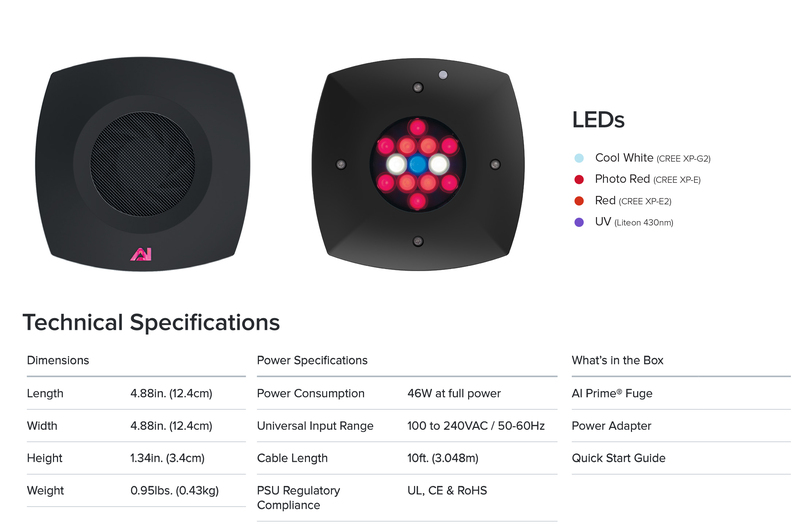 Breaking news- the Aqua Illumination family of reef aquarium LED fixtures will soon welcome its newest member, a pink dressed sibling of the highly popular nano light AI Prime. 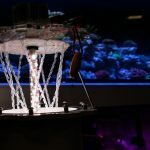 Yes, AI is going into the red side of the spectrum with the all-new Prime Fuge, the company’s first fully programmable LED panel designed exclusively to grow macroalgae in saltwater aquariums & refugiums. 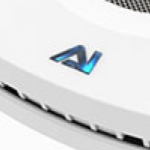 On the outside, AI Prime Fuge shares the same form and factor as the existing Prime fixtures. 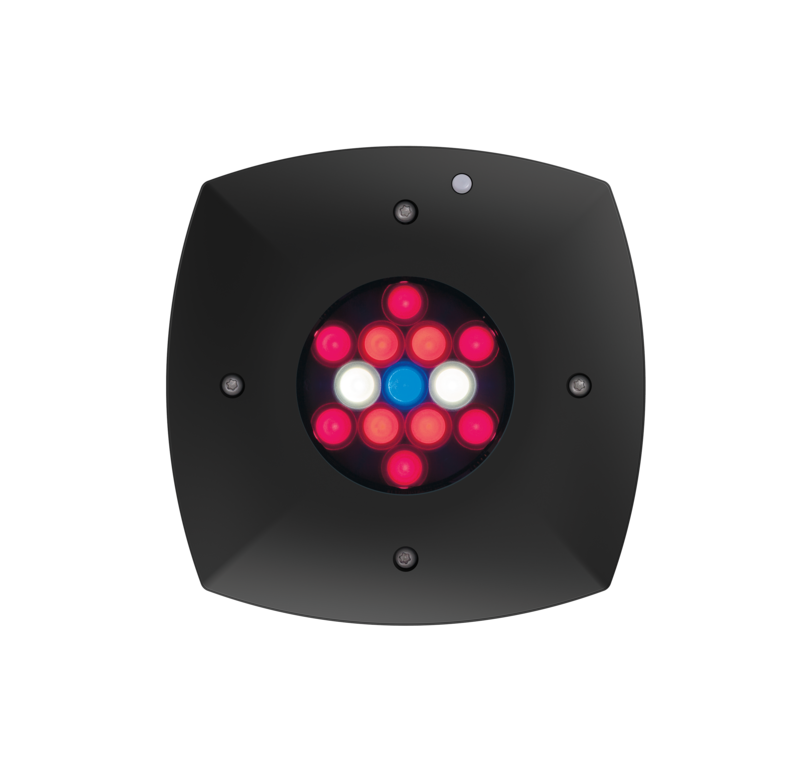 Back is the signature square shaped, single cluster LED panel, complete with its array of different mounting options. The dongle-less, mobile app driven wireless controllability via built-in WI-FI module is there too. 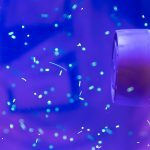 It’s basically an AI Prime that has been modified to provide for a specific task- growing macroalgae, such as Cheatomorpha, in a home aquarium’s refugium. 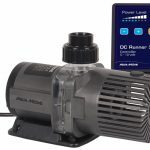 To achieve this goal, Aquaillumination revamped the LED chip and equipped it with a new array of emitters: Cool While CREE XP-G2 x2 Photo Red CREE XP-E x6 Red CREE XP-E2 x4 UV 432nm Liteon x1 This new configuration produces light in 430-670nm, at a maximum 46W of power. 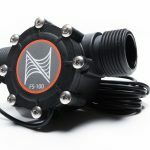 Heavy on the red side of the spectrum ideal for the process of photosynthesis in marine macroalgae, AI Prime Fuge targets a niche in the market previously occupied only by Kessil refugium fixtures, offering a powerful yet affordable (at a $209.99 price point) solution for refugium lighting. 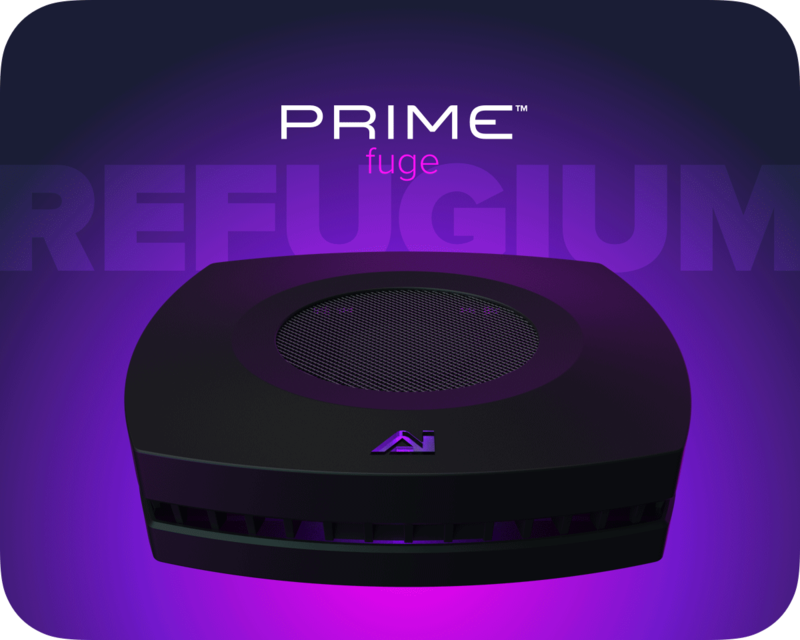 AI Prime Fuge is expected to hit the market in early February 2019. I’ve received a beta version of the light, so stay tuned for an in-depth review once I finish testing it.